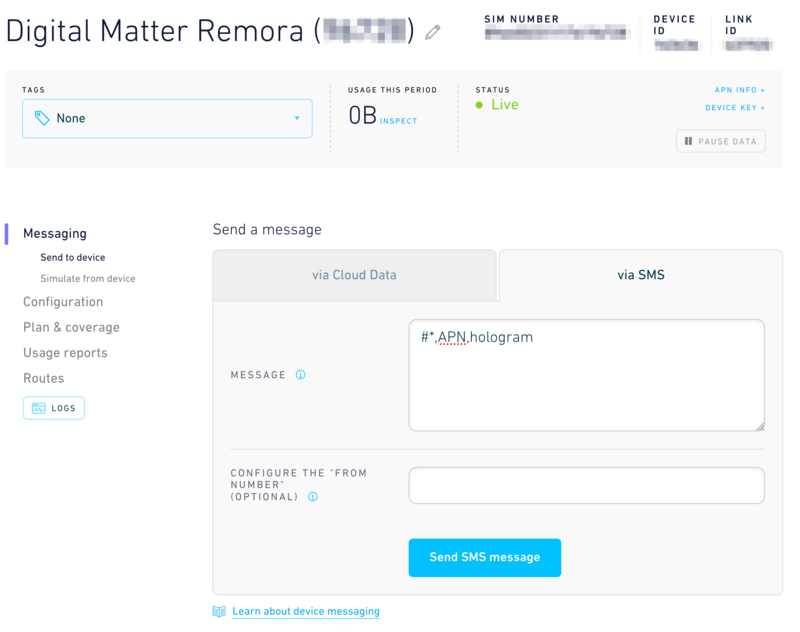 Setting up the Digital Matter Remora Cellular on Hologram's network. Digital Matters' Remora Cellular is a rugged GPS/GLOSNASS tracking device designed for heavy duty usage. It features long battery life, an IP67 rated housing that is UV stable, and comes paired with an asset tracking suite that makes it a breeze to get started in no time. Before we begin we need to make sure that our Remora will work in the country we are in and with the available technology. The Remora Cellular comes in three versions one with a modem that operates on the 850/900/2100 frequencies traditionally associated with EMEA/APAC/Latin America and another that operates on the 850/1900 frequencies traditionally associated with North America, and the last version which operates on the 800/850/900/AWS/1900/2100 frequencies for global coverage. Finding what bands operate in the country you wish to deploy can easily be done with a Google search. The Hologram SIM works in 196 countries and with all cellular technologies (2G,3G, and 4G), but not all countries offer all cellular technologies. Feel free to reach out in our forum if you have specific coverage questions. Once your SIM shows a green dot that indicates that its in LIVE status on the Dashboard we are ready to move on to the Oyster. 2) Next we need to insert the SIM into the Remora. Open up the casing to reveal the circuitry and identify the SIM tray. The device takes a Mini SIM which is the largest notched size. Unlock the SIM holder and pull it up. Place the SIM inside the SIM holder making sure it has the correct orientation. Once in place, push the SIM card holder back down and lock it into place. 3) Place in your batteries. Your device should turn on and the LED should stat flashing. Please note that Digital Matter points out that it is very important to use 1.5V Lithium C batteries to maximize battery life. 4) Next we need to set the APN. We will do this via the Hologram Dashboard since there is no additional cost to send SMS messages from there. To do this, go to your SIM's page, by clicking on it in the Devices Page. Next go to Messaging > Send to Device and make sure you are on the via SMS tab. From there enter #*,APN,hologram and hit Send SMS message. 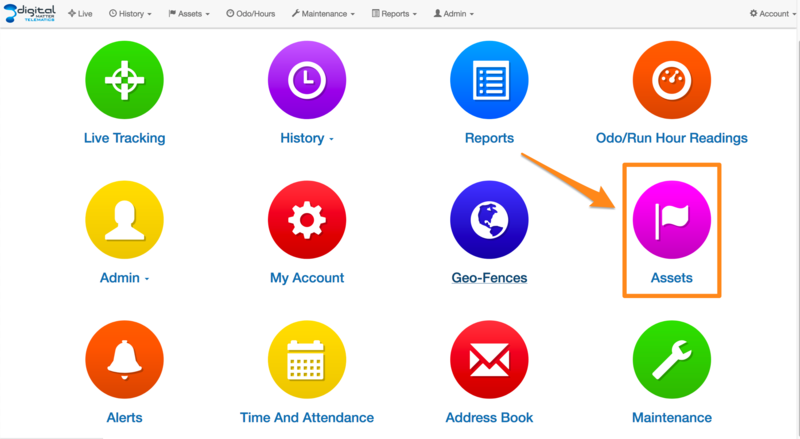 5) Once we are connected open up an internet browser on your computer, log into https://telematics.guru/ and go to Assets. On the top part of the page hit the Create New Asset button. Here you will need to add a Name, set Device Type to Remora, and enter the Device's Serial which we can be found on the backside of the case. Your device is now set up. 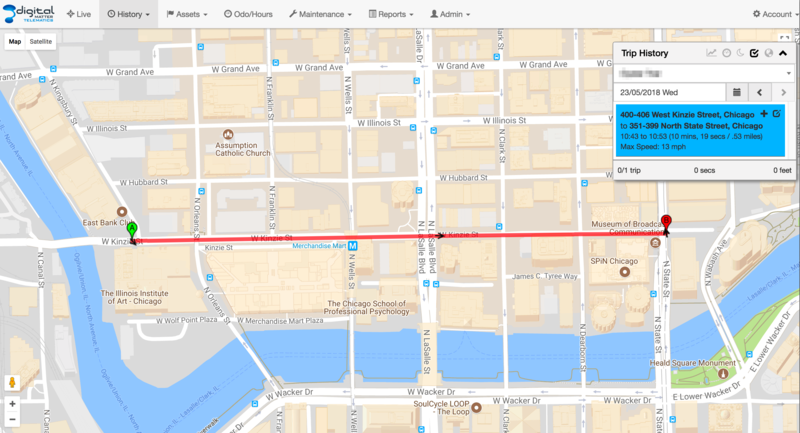 It might take a few minutes for the Telematics page to show the connection. However, on the Hologram Dashboard you can check for ongoing connections by looking to see if the status light is green for live or blue for active connection. 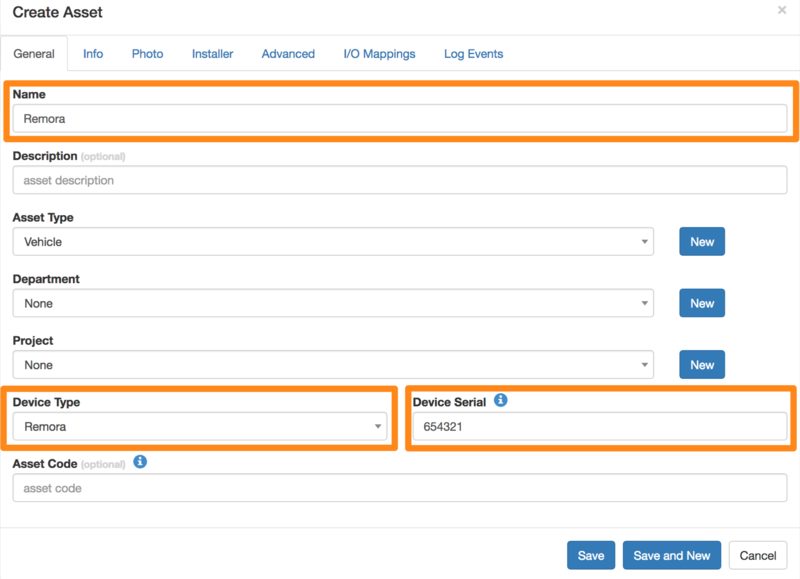 Once your device connects, you can double check that the connection was successful by going to the asset's settings, going to edit, and checking that your SIM's Serial Number (ICCID) shows up on the Advanced tab. 6) Close the device's case making sure to follow Digital Matter's instructions on doing so to retain its IP-67 Rating.